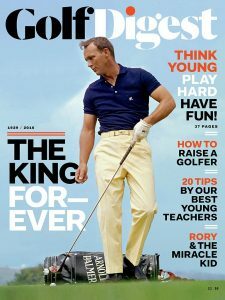 Home»Press»Golf Digest: Top teachers under 40? Mackenzie Mack has been be recognized as one of America’s top golf teacher’s under 40. Golf Digest combed the 50 states, surveyed mentors and peers and students to find out just who are the top teachers under 40? And Mackenzie Mack has made the list, in their 2016 November issue, see the full story here.